With our new production Plant 5 we are opening a new chapter in the history of Franke. Plant 5 is the largest investment to date and the outwardly visible sign of fundamental change. Over the past decade, we have invested a great deal of energy into the development of special bearings for high-dynamic applications. Thanks to extensive development work, as well as convincing quality and delivery reliability, we were able to win many prominent customers for such bearings. This product group will be manufactured in Plant 5. 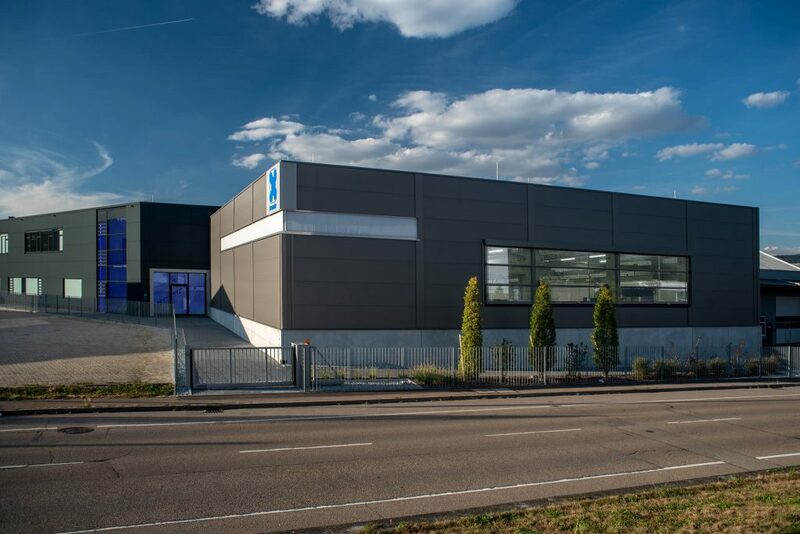 Plant 5 is a further step towards reorganising the company by product group which had been started years ago with the production of linear systems at Plant 3. Our experience has shown that this strategy leads to large improvements in the value stream and thus greater delivery reliability. Like the building itself, the material flow has been well planned. The entire storage and production area is on one level. As a result, there are short distances and a nearly ideal production cycle. The extended capacities allow us to optimize the production structure throughout the company. Further machines were purchased and the company uses a matrix organisation to work out product lines whose production runs largely independently of each other. Newly created shop floor areas enable the teams to communicate on-site in the production. This will quickly resolve emerging issues and increase collaboration within teams on a sustainable basis.